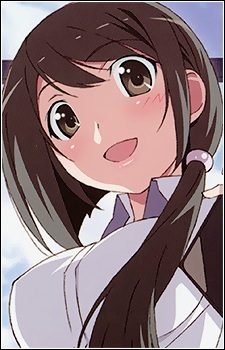 Nagase is a graduate from Keima's High School and now she's back as a Student Teacher, teaching in Keima's class. She admires the pro wrestler Jumbo Tsuruma and she was revealed to be quite innocent and naive. On her first day of teaching, Nagase noticed that Keima was playing games in class. Due to her strong beliefs she decided to take action and help him. Its also revealed that she was Captain of a basketball team when she attended Maishima Academy High-school (Keima's school) and that her team won the national game.